The South African TV personality who came into prominence in Nigeria after she was rumoured to be dating D'banj just shared this pic on instagram. 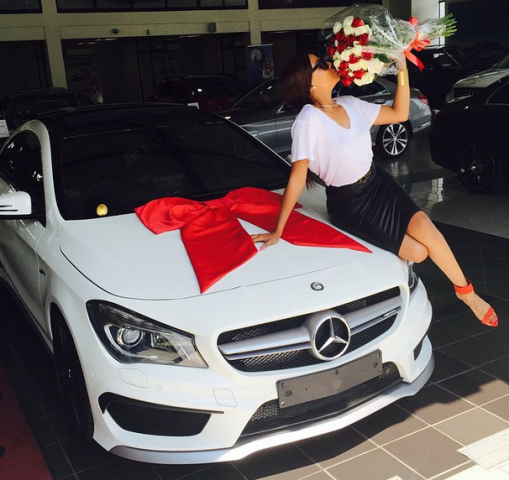 She bought herself a 45 AMG Mercedes Benz as Val's gift. She admits she's single, that means she's not dating D'banj. Oh well, congrats to her.